Two more days to Valentine's day. These are simple heart shape boxes that I made for Valentine's Day 2015. 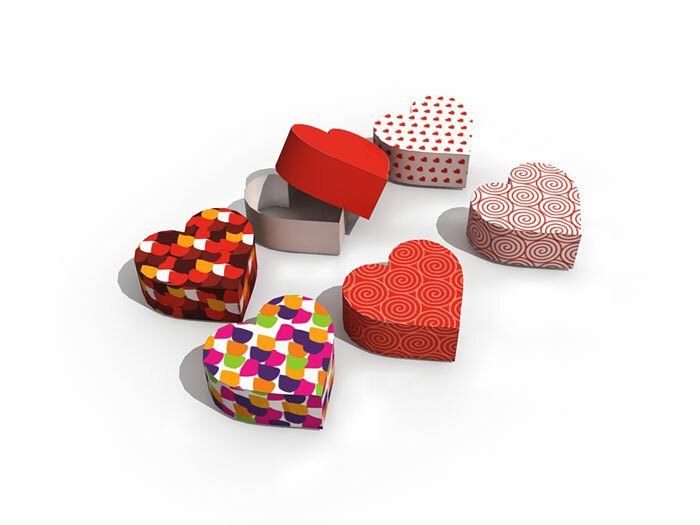 Unlike the existing heart shape paper craft, you can actually use it to store things in it. It can be useful for gift box, candy box, decorative box or whatever you want for your Valentine card ideas. The template contains 4 pages, each page contains 2 box templates.